GaelicSportsCast today visits the exotic and beautiful country of Thailand to talk with Thai GAA Chairperson Derryman, John Campbell. Like other GAA clubs in Asia, this newly formed club at times finds it difficult to keep numbers steady in an often transient migrant environment. However, the club has been greatly boosted recently by its successful hosting of the 14th Asian Gaelic Games in October, an event which opened the eyes of the club’s international players to the sincerity and sheer passion of Ireland’s favourite sporting pastimes. GaelicSportsCast’s first visit to the land of Dragons and Emperors, China, took place last weekend when we spoke to the new chairman of Hong Kong GAA, Kerryman, Shane Harmon. 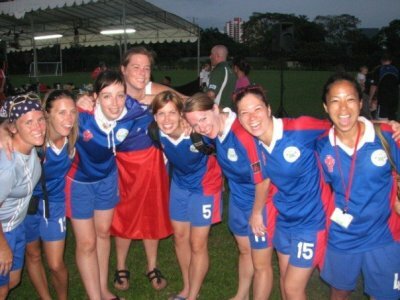 The former Laune Ranger corner back, looks forward to HK’s hosting of the 2010 Asian Gaelic Games while also keen to sustain the health of the 100 + club despite the to-ings and fro-ings of many an expat player. He also hopes to further enhance Gaelic Games among the International expat community as well as among local and regional peoples, many of home have found a new fondness for Gaelic Football. 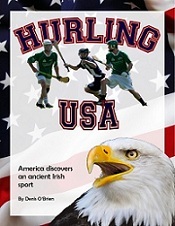 And…there’s a small bunch of hurlers eager to get the ancient game going in this ancient land! GaelicSportsCast now available on iTunes – put name in Podcast search window. In our continuing profile of GAA clubs in Asia, this second episode sees GaelicSportsCast talk with Colm Ross, the Vice Chairman of the Viet Celts Gaelic Football Club in Vietnam. Colm tells about how the club has grown since it started up just two short years ago and of its progress in forming both men’s and ladies teams as well as a local underage tournament. He believes the Viet Celts have made a solid start and looks forward to future challenges. IN this first episode of GaelicSportCast Podcast, GSC visits the tropics of Asia. 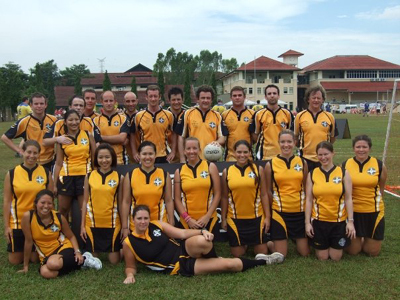 Here we meet with one of the biggest GAA clubs in the region, the Singapore Gaelic Games Club. 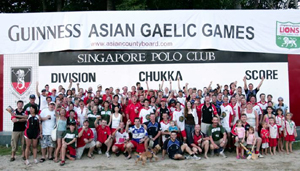 Singapore’s Asian County Board Representative, Gareth O’Brien tells about the clubs history, their success at the recent Asian Gaelic Games in October and their hopes for the future.